Should your marketing have a message? – Sundin Associates, Inc.
First came the “Like a Girl” campaign from Always, with its message of equality and empowerment. And “we” all applauded, except for some who had issues with the campaign. 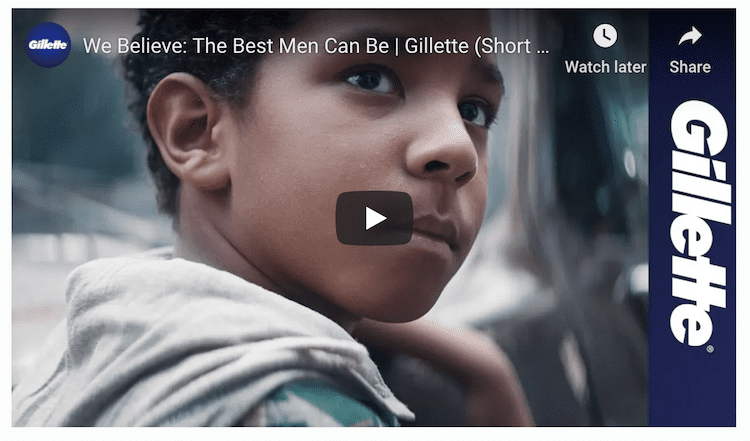 Now we have the “The Best Men Can Be” campaign from Gillette, and again some have applauded the message about raising young men and what “the best a man can get” means. But this time, there seems to be a much louder outcry to the message – and then an outcry to the outcry. Which has us, and I’m sure many others wondering, should your marketing have a message? Let me start by revealing my bias – I believe the message being put forth by Gillette needed to be said, and the conversations triggered needed to be had. Does it, as has been suggested, claim all men are bad? No. Was the message perfectly crafted? Absolutely not. I’ve heard it referred to it as preachy, condescending and heavy-handed. Perhaps it was, but Gillette had a much harder lift than Always with their campaign. Always’ was one of empowerment. Gillette’s is one of ownership. One rode a growing trend with a welcome message. The other is fighting years of entrenchment among a population who may not be looking to change. (It’s telling to me that, at least in my feeds, most people sharing the Gillette campaign were women). Do you have something worth saying, and why are you saying it? While the end goal is to sell more product (sorry to sound jaded), there also has to be a reason for taking on a “hot” topic such as a toxic masculinity. Do you have the “authority” and is your message authentic? Eyes rolled when Coca Cola launched an ad campaign targeting obesity – while they may be in the right market, the message appears hollow, insincere and self-serving coming from an organization that is universally acknowledged to be part of the problem. Do you, your employees and senior management believe your message? This is important because those on the front line will be forced to defend your message. Are you prepared to lose customers? With over 50% of the razor market controlled by Gillette, they have a lot to lose – but they also have a lot to gain, including stopping the flow of sales to smaller competitors like Dollar Shave Club. It has also been suggested that the ad is not, in fact, targeted to men, but instead to women – the primary purchaser of razors and blades for both themselves and the men in their family. The fact is, organizations share their values every day – through the messages they send, the causes they support, and the clients they choose to serve it – the question is, do you want to turn those values into a campaign.